A jet from the Papua New Guinea national airline Air Niugini missed the runway in the Federated States of Micronesia and ended up in the ocean. One passenger died. 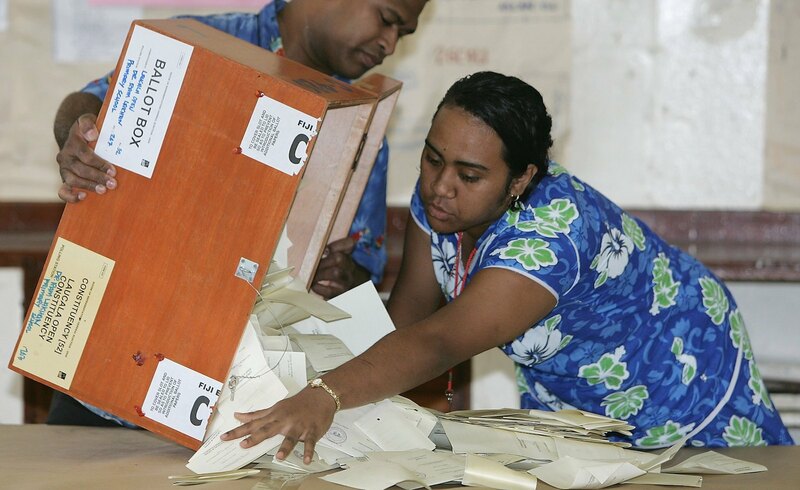 After significant delay, Fiji has announced the date of its general election for 14 November. In preparation for polls, Fiji’s parliament has been dissolved. Papua New Guinea raised US $500 million in its debut sovereign dollar bond last Friday, successfully tapping the international market for the first time. Still on Papua New Guinea, Australia has announced a deal with Port Moresby to develop a joint naval base on Manus Island. The government opposed arguments that it was made to prevent China from refurbishing the port. Here is a fascinating piece by James Goldrick on the history of the military presence on Manus Island. Stephen Dziedzic analyses China’s surprise declaration in New York that Beijing wants to cooperate with Canberra to help develop the Pacific. If you’ve missed any episodes of the controversy that generated the recent push for an agricultural visa, have a look at this post by Stephen Howes and Sachini Muller that traces the latest on the Seasonal Worker Program, the various proposals around alternative schemes, and links to related material. The Pacific Trade Invest Australia (PTI Australia) facilitates trade and investment into the region. Here is their Export Survey report, providing a greater understanding of exporting dynamics in the Pacific Islands. Two weeks ago, the 2018 State of the Pacific conference was held in Canberra. Click here to watch the opening and keynote speeches by Foreign Affairs Minister Marise Payne and Pacific Islands Forum Secretary General Meg Taylor. Also, listen to the conversation on going beyond the China Syndrome recorded live for the Little Red Podcast. All audio from the conference is available here. In this powerful piece, Anne Gulland traces the origins of tuberculosis in Papua New Guinea, hoping that the first high-level meeting on the topic at the UN General Assembly last week will generate momentum into the fight against the disease. Finally, a quick reminder that the Australasian Aid Conference will be held on 19-20 February 2019. The call for papers and conference registration are now open. Australia's refugee commitment, Trump's immigration executive orders, human rights work in Sudan and more.